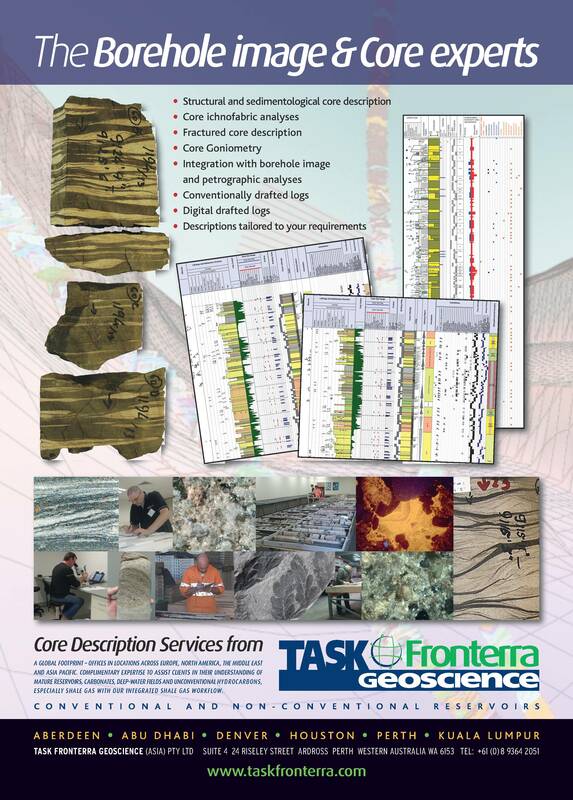 Task Geoscience provide a comprehensive core logging service. Core logging programmes can be adapted and designed to meet client needs and to target specific questions regarding the succession. Siliciclastic, carbonate, evaporitic and mixed environments. Logged on a range of scales, from high resolution at 1:25 to summary logs at 1:200. High-quality detailed digital graphical product. Core integrated with borehole images, core analysis data and open-hole logs. We have specialist sedimentologists with expertise in fluvial, mixed fluvial and aeolian, shallow-marine siliciclastic, deep-marine siliciclastic and carbonate environments. Sedimentological core logs can be integrated with other services, such as goniometry, structural logs and borehole image analysis. Grain size and grain size trends. Visual assessment of clay content. Sedimentary structures – depositional structures and those caused by syn-sedimentary deformation. Granular components and bioclast abundances and types. Key candidate sequence stratigraphic surfaces. Macrodiagenetic features evident in core (nodules, doggers, cements). Faults, fractures, induced features and apparent dip. 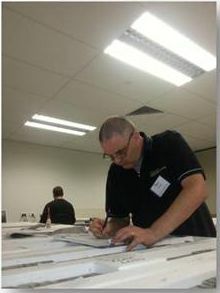 Core disking, core preservation and rubble zones. Details of core sample sites. Lithofacies types and facies associations. Key features and facies types photographed. Integration with core analysis results. Comparison to borehole images and open-hole logs. Facies and facies association analysis. Provision of training set for core to borehole image log calibration. Integration with goniometry data, results from borehole image analysis and biostratigraphical results. Integration with sediment dispersal data. Petrographcal analyses tied with the depositional environment. Summary core analysis statistics derived for each lithofacies type.